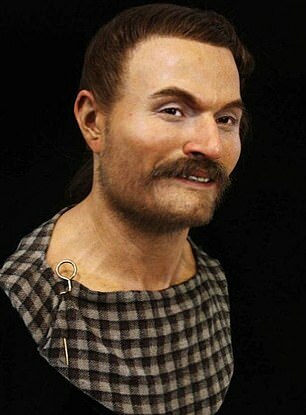 Faces of the earliest British residents have been recreated to show what they may have looked like and tell their story. 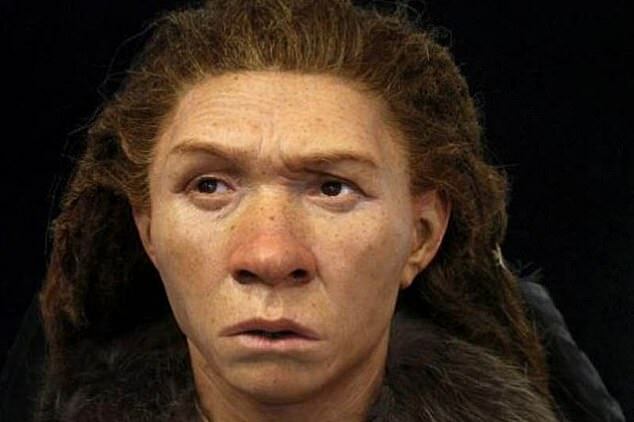 For the first time, we can see features in these neanderthals faces such as skin tone and eye and hair colour to show what ancestors looked like dating back up to 500,000 years. The 3D busts are on show at the Elaine Evans Archaeology Gallery, part of Brighton museum, which has just opened. Experts used a mix of scientific research, technology and DNA analysis to come up with the physical attributes, and how they lived and died. The exhibition focuses on seven people, five of whom were early residents of Brighton & Hove, who lived from the Ice Age to the Saxons. 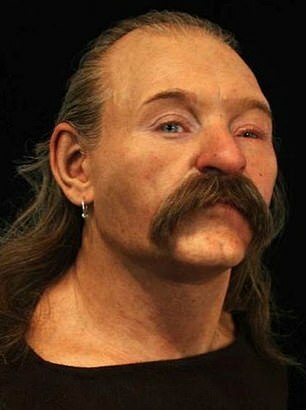 The science behind the facial reconstructions provides an instant understanding of how our ancestors looked over a 500,000 year period. DNA analysis helped the experts understand the skin, eye and hair colouring. 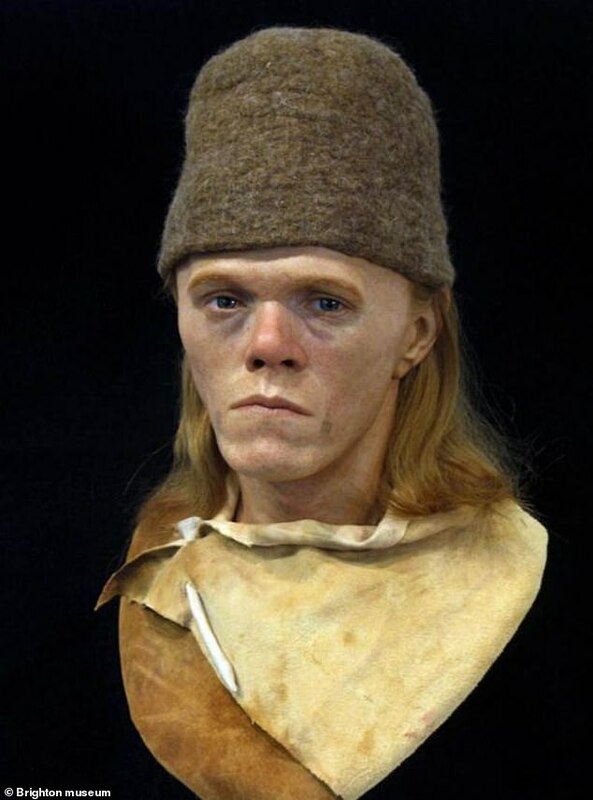 Forensic artist and sculptor, Oscar Nilsson and Richard Le Saux, have worked for fourteen months to build an accurate and realistic picture of the ancient Britonians. The stories behind the busts include a woman found with a nail in the back of her skull in an unusual grave and a man buried in a shallow grave among shells. They found that different people from a variety of backgrounds and geographical origins have settled in Sussex through history. 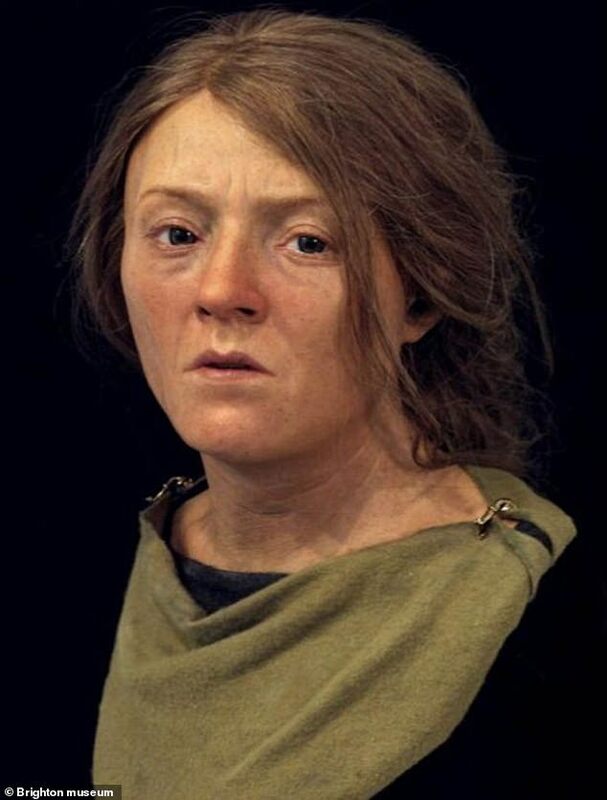 Like Cheddar Man, a bust of a Mesolithic skeleton discovered in 1903 unveiled last year, the exhibition reveals the faces of seven more 'locals' who are believed to have lived and died on the south coast of England. Britain's oldest complete human skeleton, known as Cheddar Man, was unearthed in 1903 in Gough's Cave in Cheddar Gorge, Somerset. The prehistoric male lived around 10,000 years ago, and a huge hole in his skull suggests he died a violent death. The curators wanted to make design the exhibition to appeal to children and move away from the more traditional 'glass cases with pots and flints' set-up. They wanted to get away from lengthy historical text. To tie in with the time period, they recreated the atmosphere of the past using sound, film and images set in a woodland. One of the seven faces is dark-skinned. 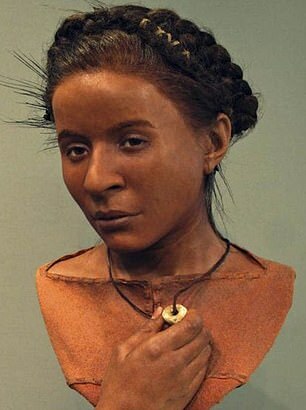 Experts now say that people living in Britain before the Bronze Age were dark. But when fair skinned and blue eyed migrants came to our shores, these people were all but wiped out. 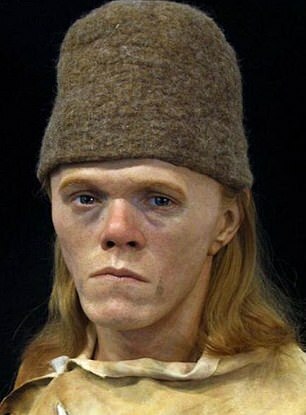 Ditchling Road man was buried in a shallow grave in a crouched position, lying on his left side with a decorated ceramic ‘beaker’ on its side by his feet and a barbed and tanged arrow head under his skull. He lived between 4,287- 4,125 years ago and was between 25 and 35 when he died. 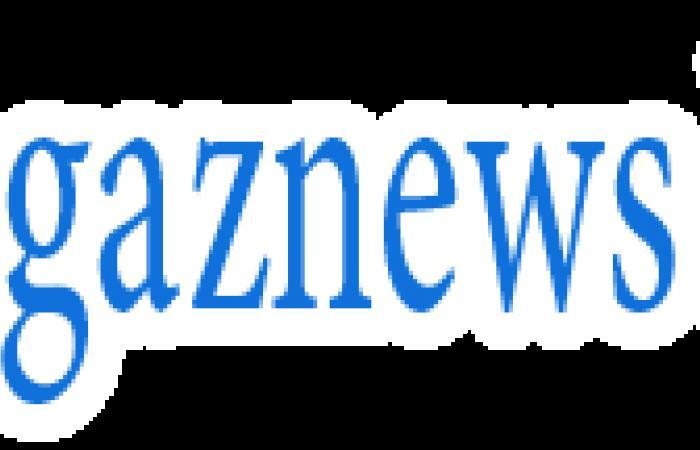 A quantity of snail shells were found opposite his mouth. It seems to have been a basic burial, indicating the man was probably not high status. Limited DNA results show he probably had light skin, blue eyes, blonde hair. We also know he suffered from loss of teeth and tooth decay.